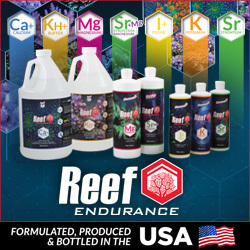 Biopellets are all the rage, and with every aqurium equipment manufacturer and reseller scrambling to come up with their own unique product, we’ve seen some rather interesting designs that attempt to maximize efficiency in biological filtration. 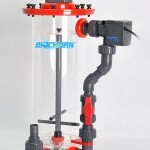 The latest product to take a different approach to the pellet tumbling crazy is the BioChurn, from Reef Octopus. 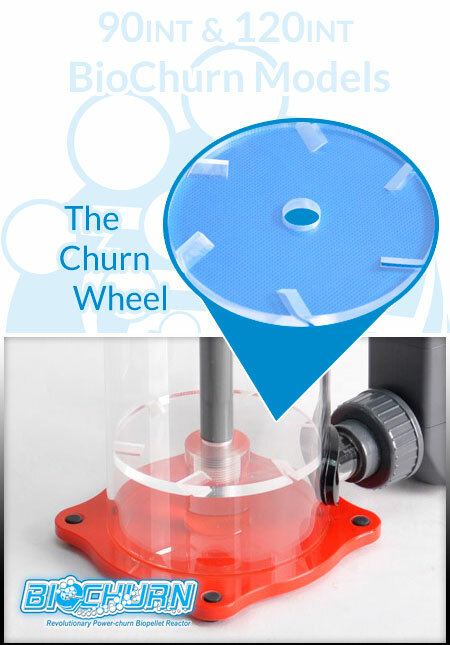 This reactor doesn’t just try to get vertical tumbling of the polymeric pellets, but also adds a twist, literally. Water is injected into the bottom of the reactor like any other, but instead of just flowing upwards, the water pushes paddles, which in turn rotate a vertical shaft with horizontally projecting arms that agitate and rotate the pellets. 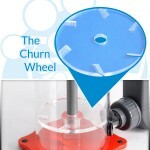 The pellet movement is quite intense, as seen in the video below, as the entire mass rotates and tumbles rather effectively. The main advantage of the BioChurn over other reactors is that it doesn’t directly blast the media with intense water pressure. 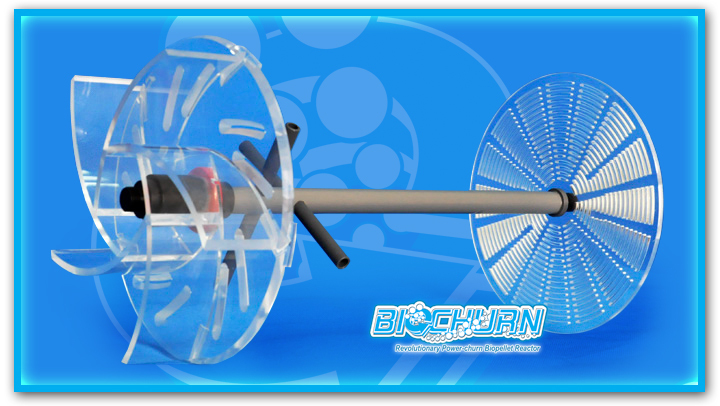 The BioChurn Reactors are available in four different styles. 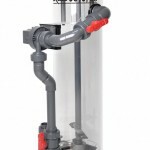 These include an in-sump, external, external recirculating, and commercial models. There are a total of six in-sump reactors that have a captity ranging from 100-400 gallons. Five reactors make up the professional external recirculation models, with capacities raning from 240-1000 gallons. 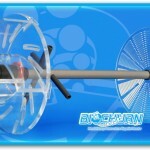 And for the big boys, six commercial models are availalbe. These beasts can tackle anywhere from 1500 to 40000 gallons. 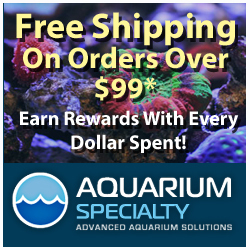 Since the Reef Octopus products are distributed through CoralVue, we’re not sure what the minimum advertised prices will be, but as the reactors trickle into storefronts and online retailers, we’ll have a much better idea on the prices. 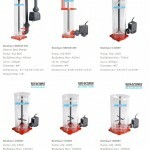 Here’s a bit more information on each of the model types, taken from the CoralVue website. 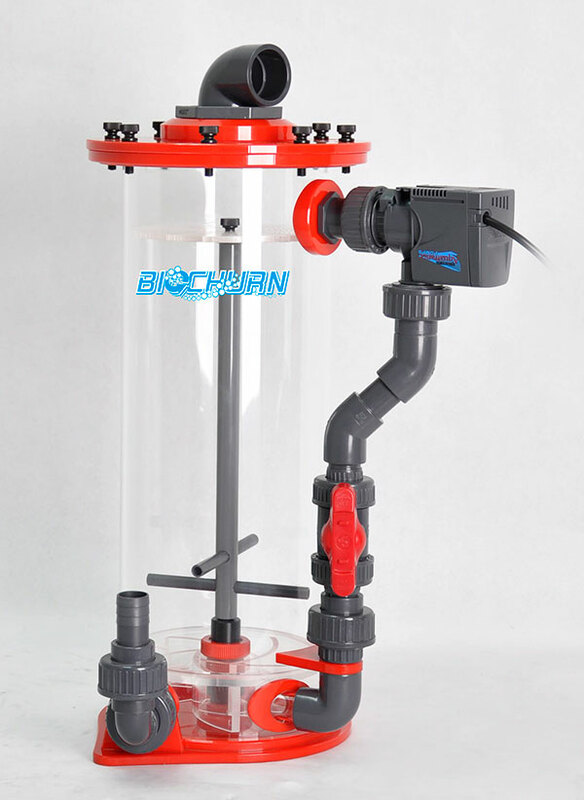 The Professional Recirculating BioChurn reactors are for those that demand the ultimate control over your Biopellets solid carbon dosing. 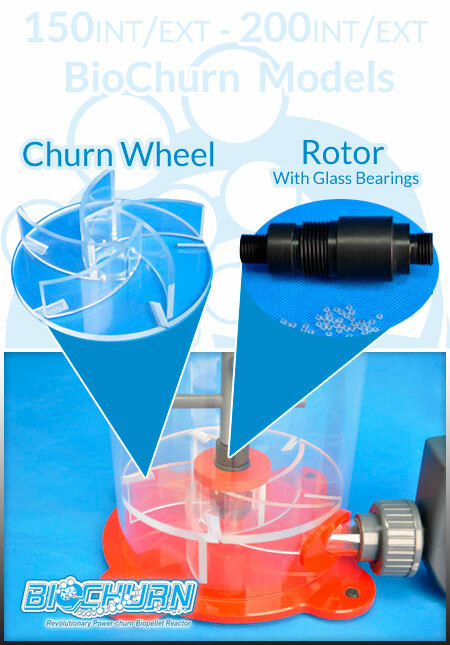 The superior “Power Churn” design easily fluidizes large amounts of biopellet media without blasting it with outrageous flow just to fluidize the media which is a common downfall to other commercial Biopellet reactors on the market today. 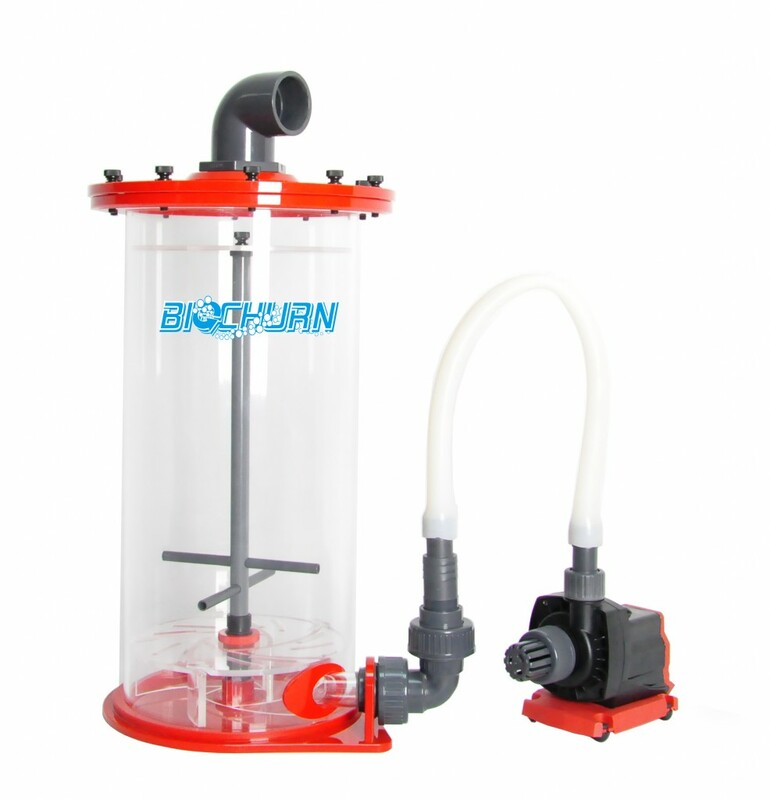 Equipped with the quality Water Blaster recirculation pumps and features independent flow valves so the user can independently control the flow of media within the reactor. 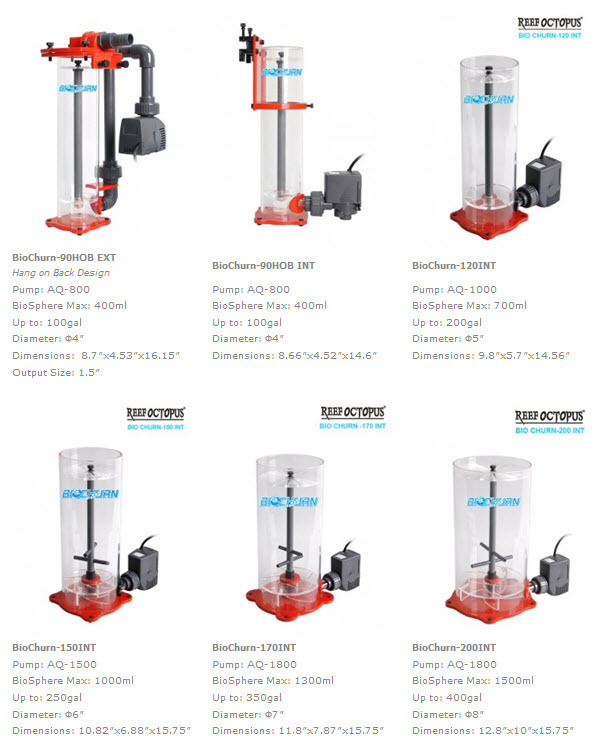 Commercial Recirculating Biochurn External Reactors – Special Order Only!! 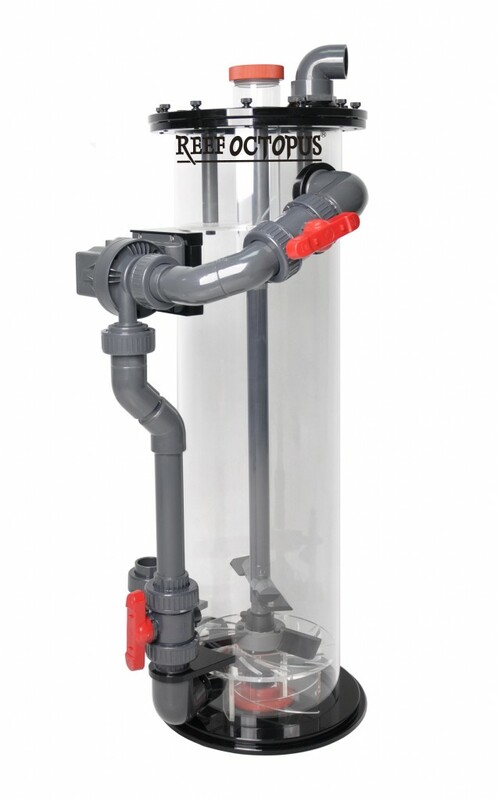 The Commercial Recirculating BioChurn reactors are for those with large systems exceeding 1000 gallons or more that demand the great benefits or solid carbon dosing. 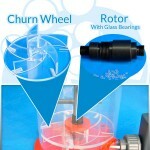 The superior “Power Churn” design easily fluidizes large amounts of biopellet media without blasting it with outrageous flow just to fluidize the media which is a common downfall to other commercial Biopellet reactors on the market today. 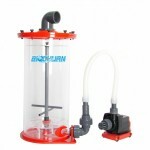 Equipped with the quality Water Blaster recirculation pumps and features independent flow valves so the user can independently control the flow of media within the reactor.